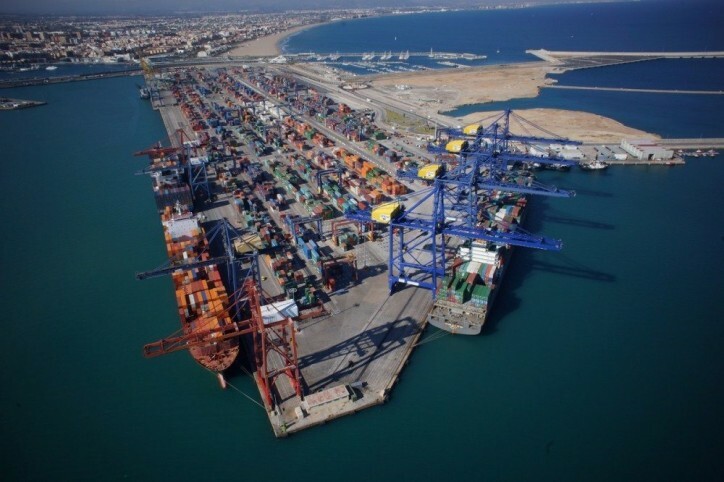 The recently-announced extension of Noatum Ports’ concession licence for its Valencia container terminal to 2041 will be accompanied by an investment of €26.5 million in the facility by Noatum owner, COSCO Shipping Ports Ltd. The investment will finance paving the east dike plot and new generation cranes, both terrestrial and maritime, according to detailed port sources after the meeting of directors of Autoridad Portuaria de Valencia (APV – Valenciaport, Port Authority of Valencia). According to the information published yesterday in the Official State Gazette (BOE), the Noatum terminal will have more surface in the berthing line, maneuvering area and sheet of water in the Coast Pier. The rate for occupation of land is established at €6.7529 per m² per year, while the occupation of facilities does not accrue any rate since the works and facilities on the surface requested are assimilated that were executed by Noatum through equivalent works. The water occupation rate is €1.87165 per m² per year. Noatum Ports is a leading maritime terminals operator in Spain, with interests in Bilbao (Noatum Container Terminal Bilbao), Valencia (Noatum Container Terminal Valencia). It also operates two inland terminals: The intermodal terminal at Puerto Seco de Coslada, Madrid (Conterail) and Noatum Rail Terminal Zaragoza. Noatum Ports is 51% owned by COSCO Shipping Ports Ltd.